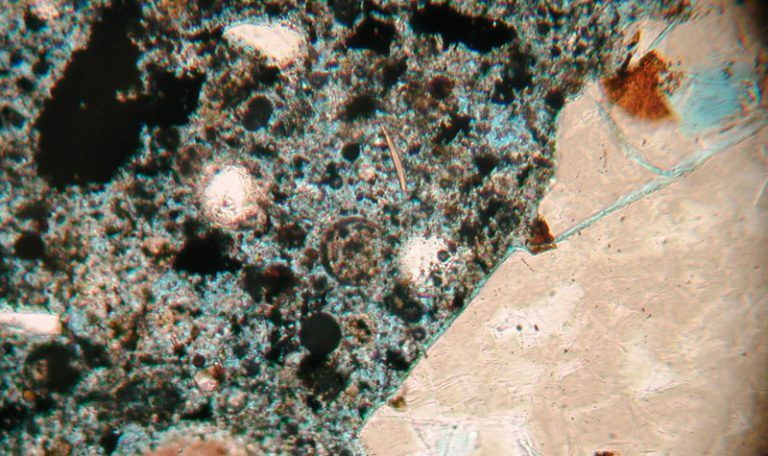 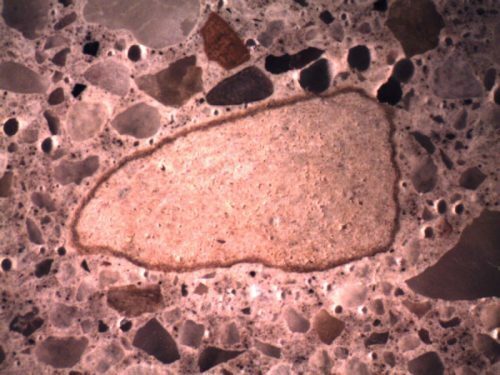 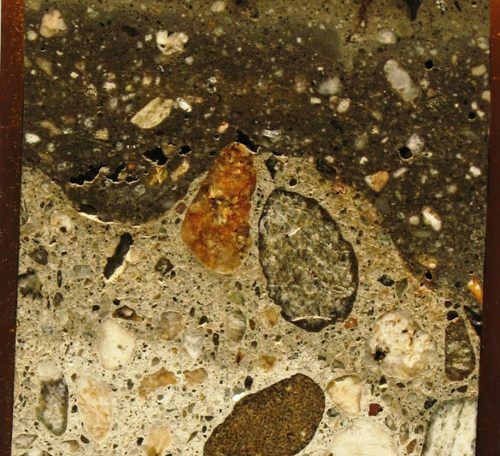 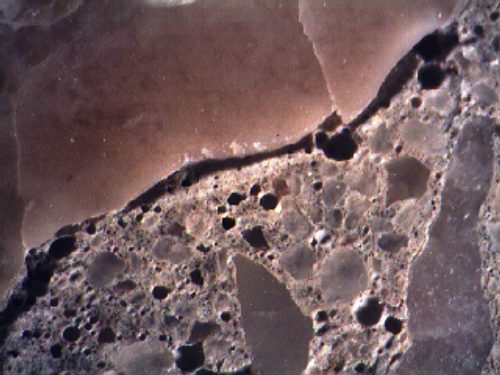 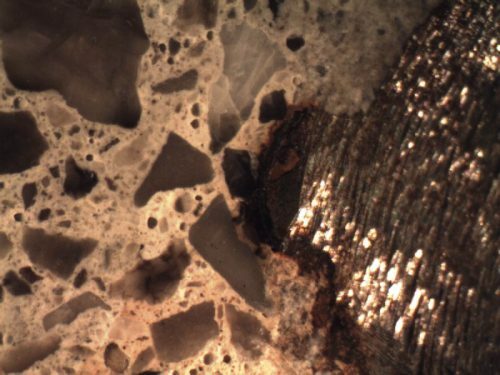 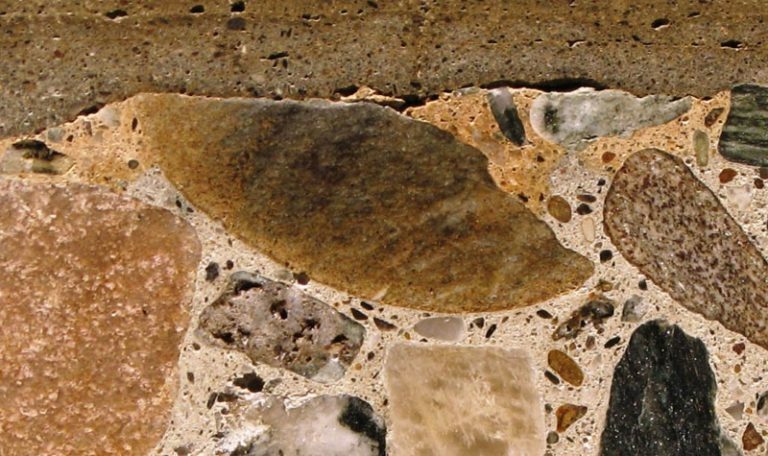 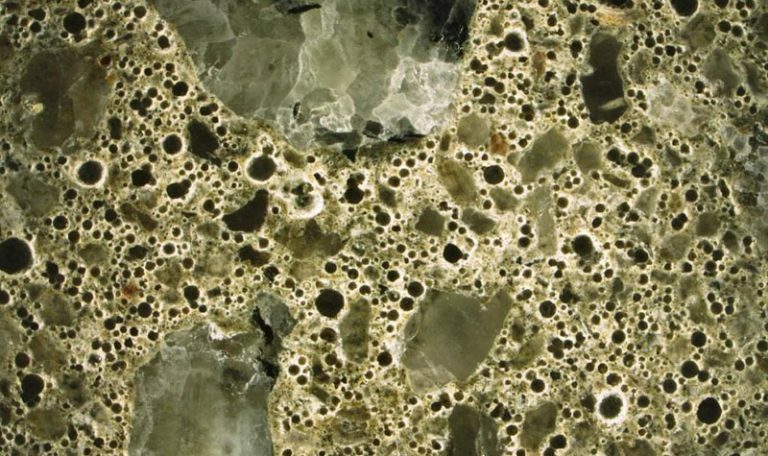 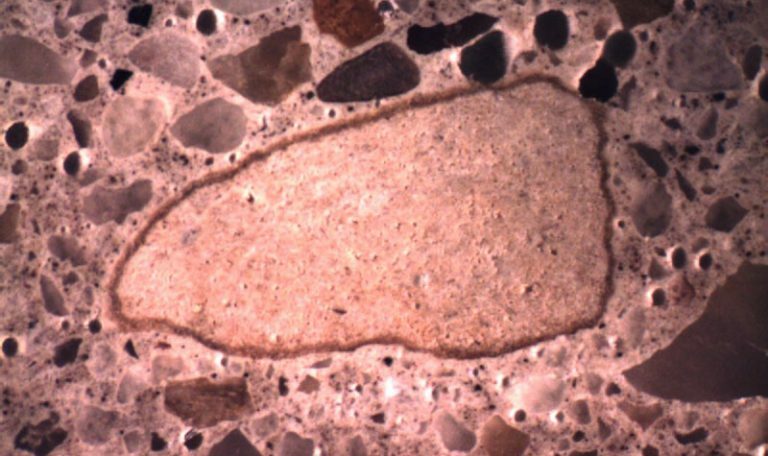 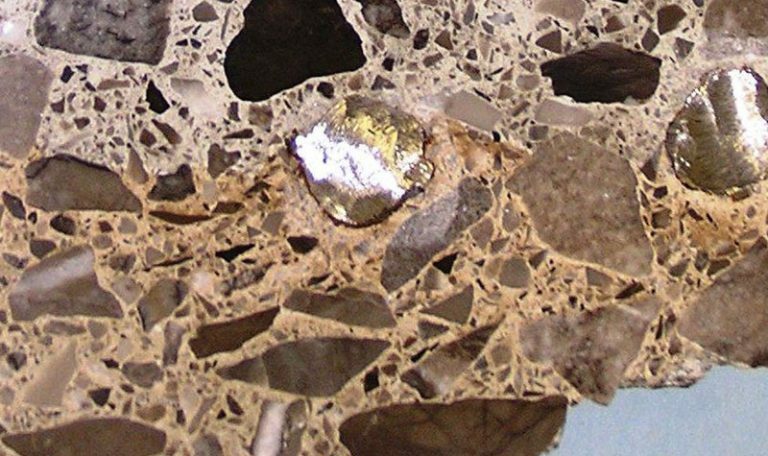 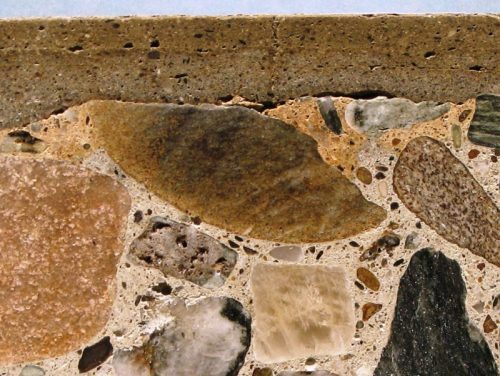 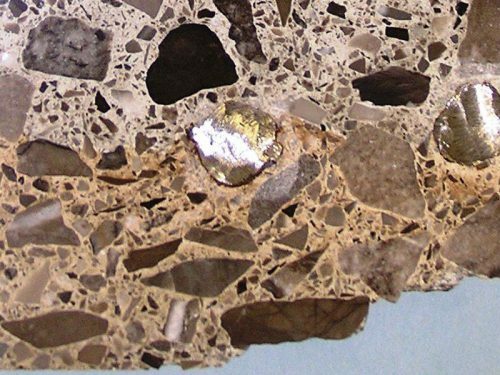 A petrographic examination is a quick and relatively inexpensive test which can determine numerous characteristics of hardened concrete. 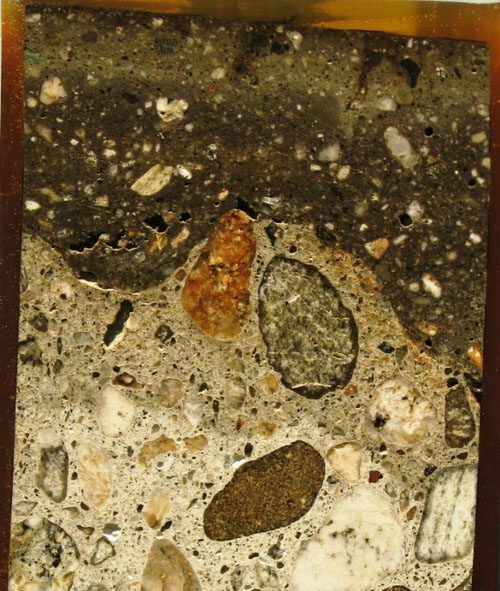 Petrographic samples are typically prepared from core samples or test cylinders. 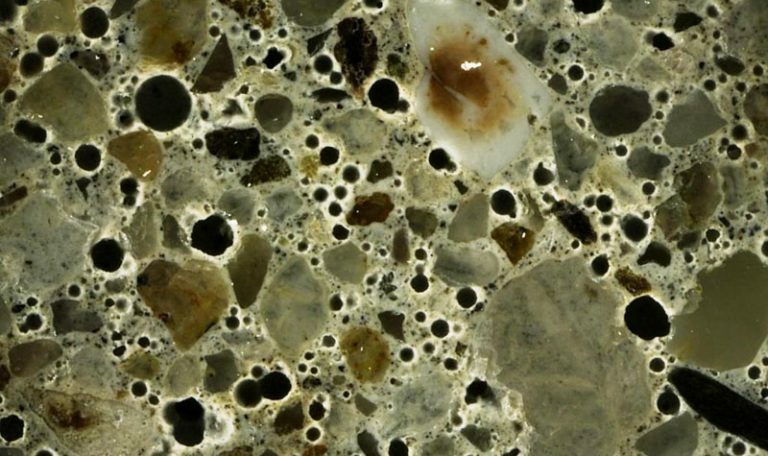 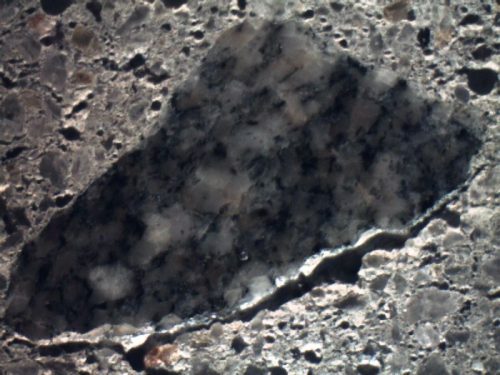 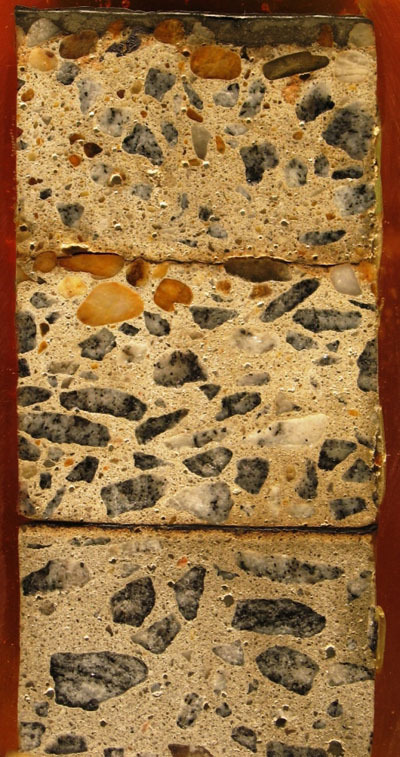 The hardened sample of concrete is cut, ground and polished until the concrete aggregates resemble a beautiful granite countertop. 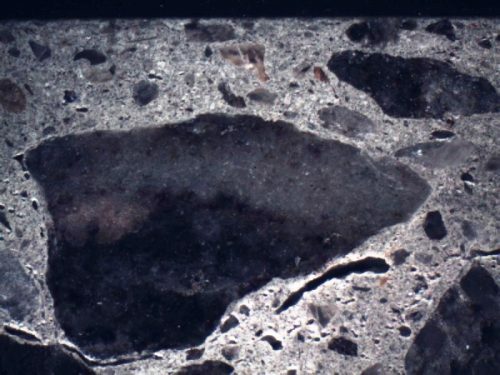 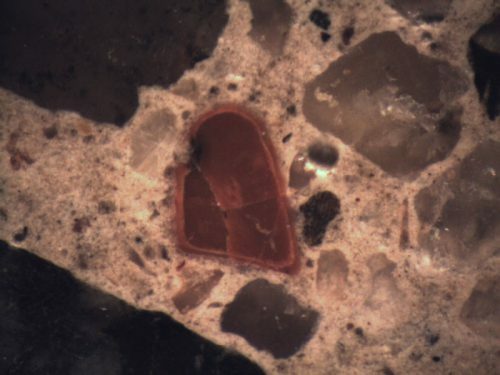 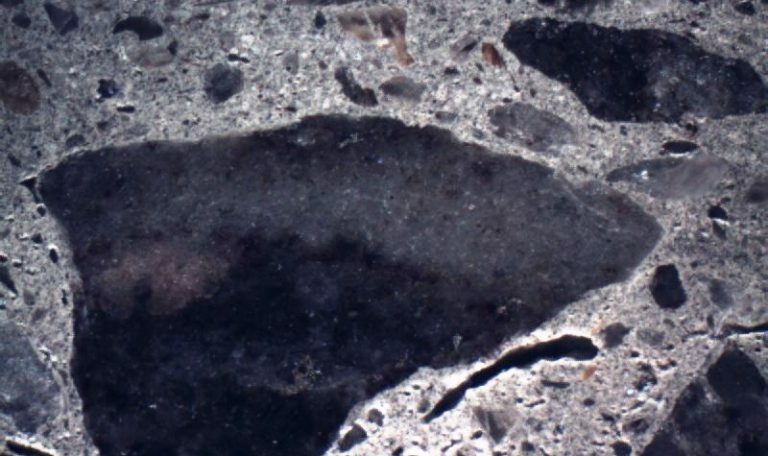 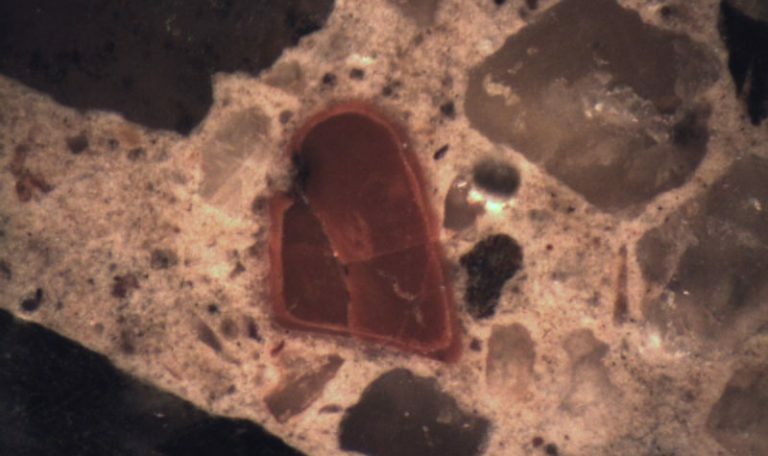 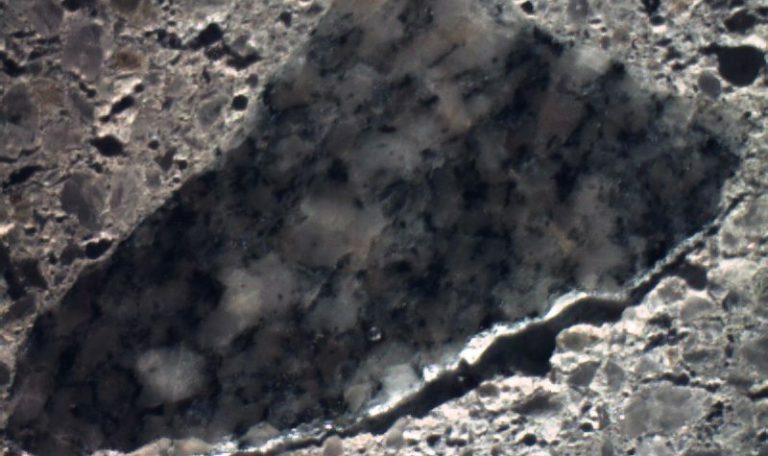 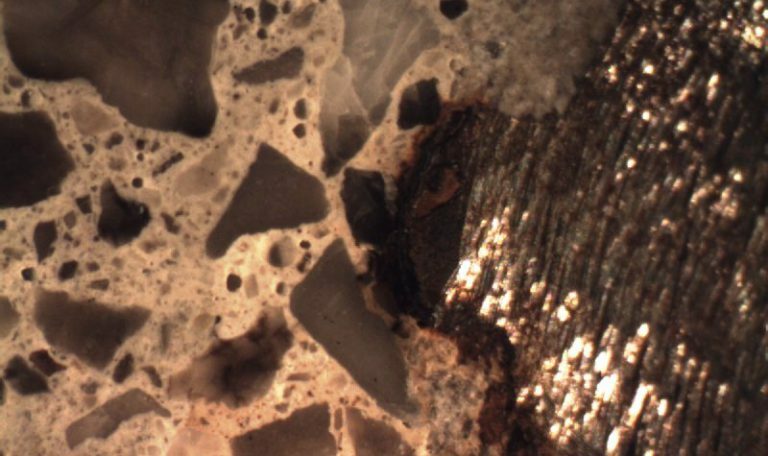 The polished surface is then examined with a microscope at magnifications that range from 10x to 60x on lapped sections and up to 400x on thin sections. 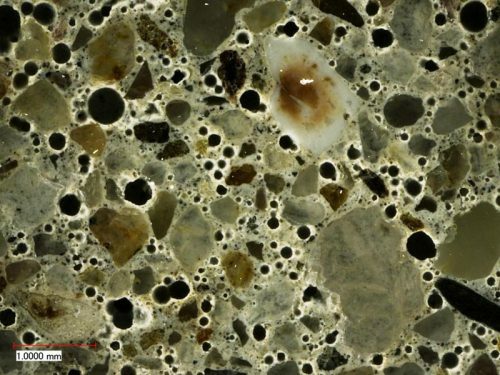 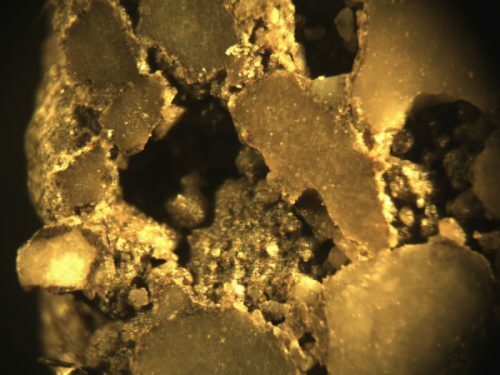 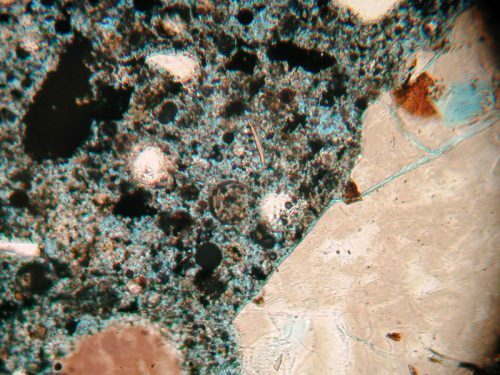 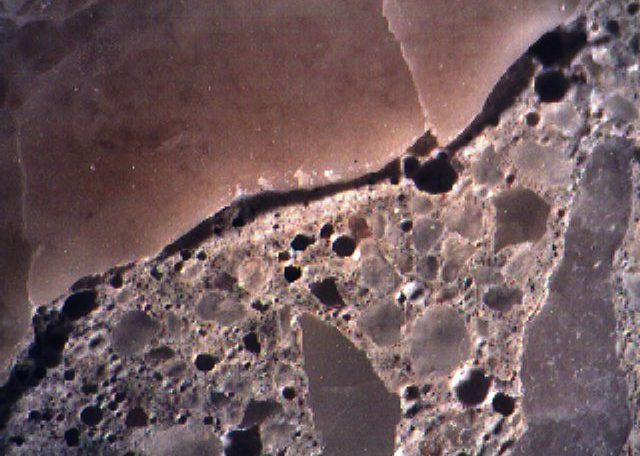 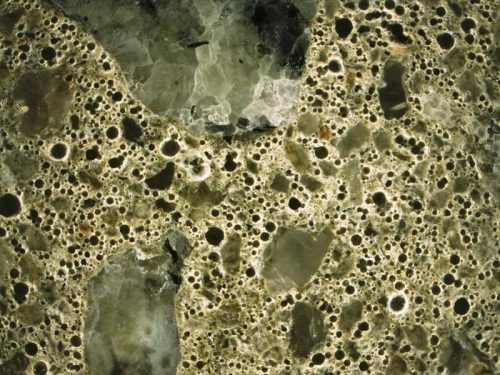 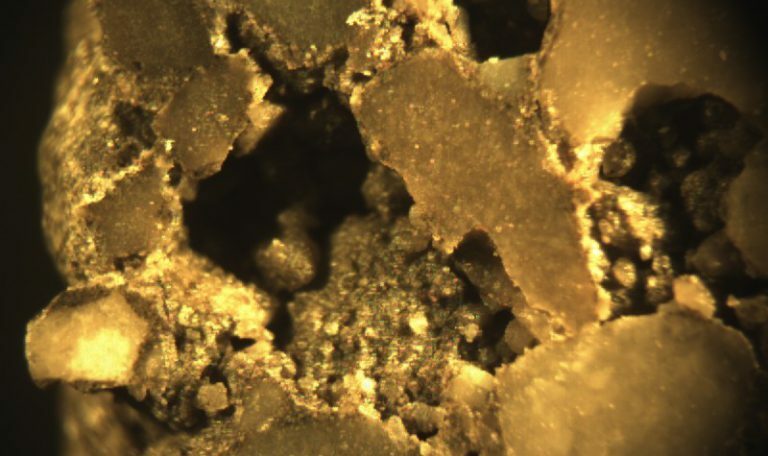 The microscopic examinations are performed in accordance with the applicable sections of ASTM C 856 Standard Practice for Petrographic Examination of Hardened Concrete to determine some of the following properties. 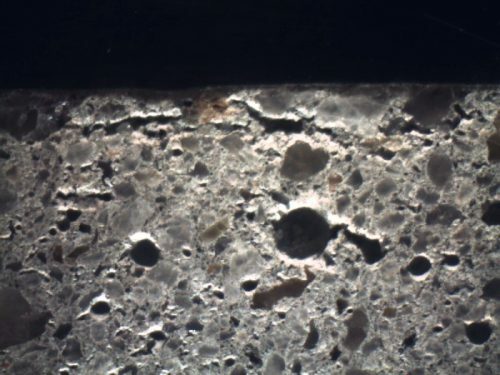 Why are my compressive strength values less than the design? 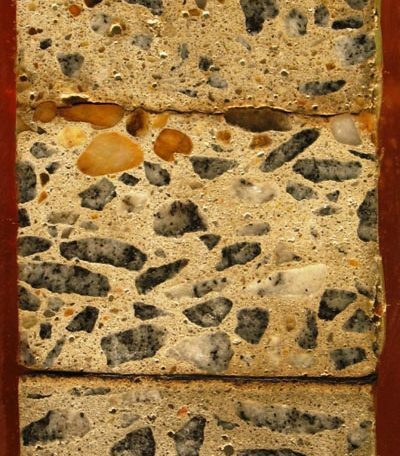 How do I know the provided concrete matches the mix design? 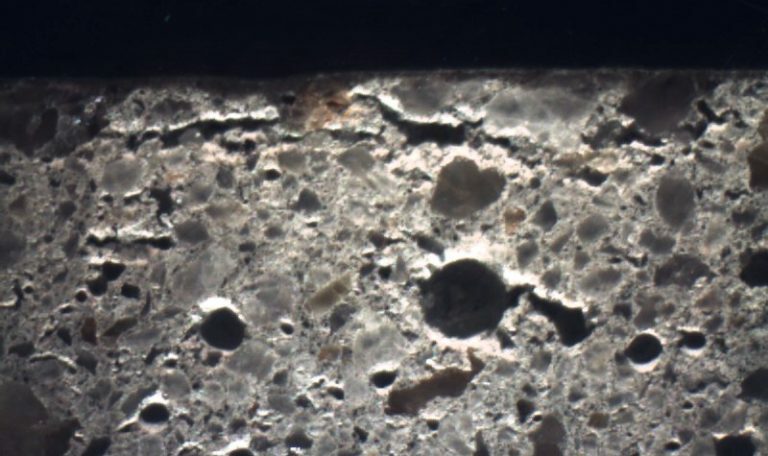 Was too much air entrainment added to the concrete? 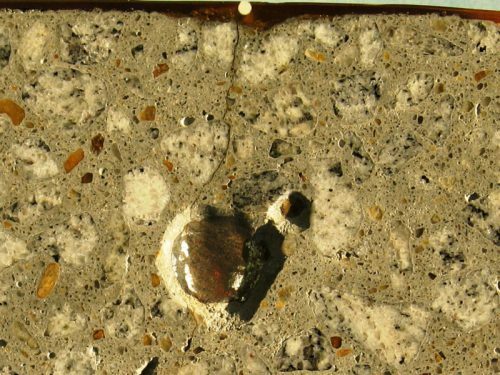 Why did the surface of the concrete flake off? 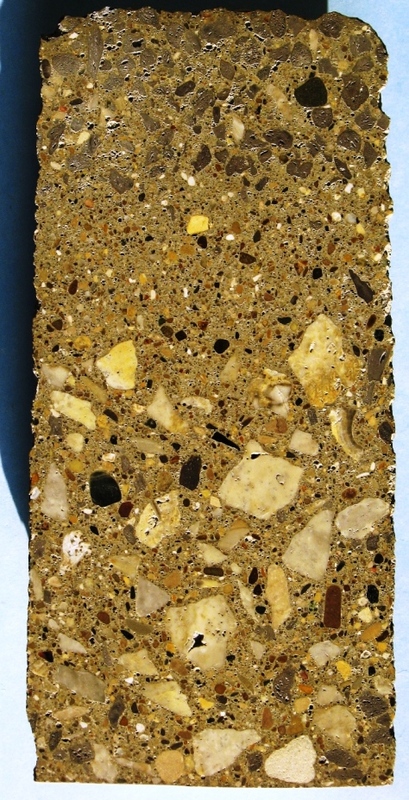 What is the existing condition of the concrete in my 40 year old building? 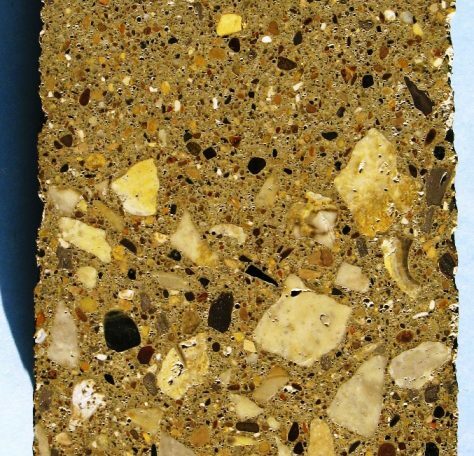 Why is my concrete a completely different shade of gray in some areas? 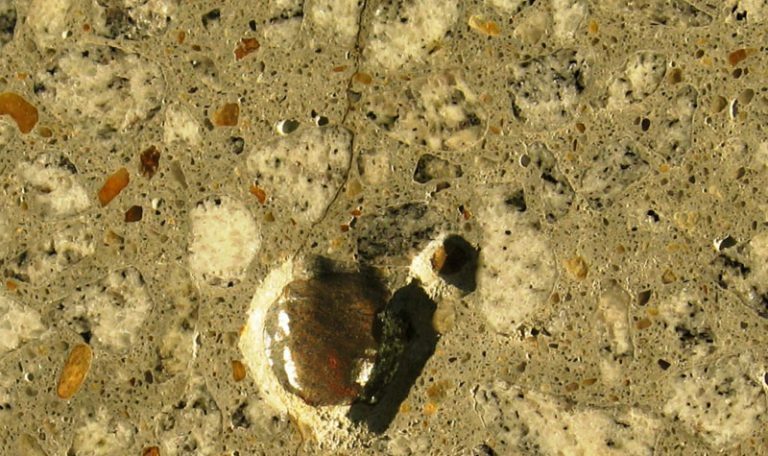 Is the existing surface of my concrete slab capable of accepting a coating? 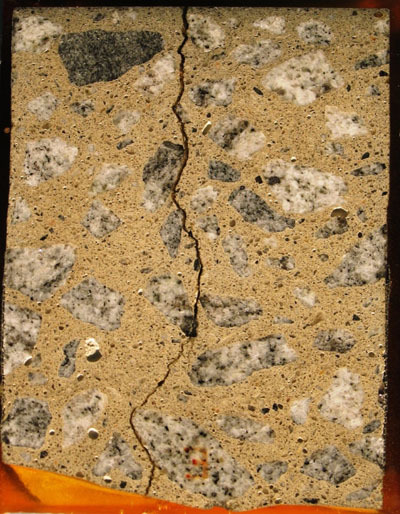 Why are there so many cracks in my slab? 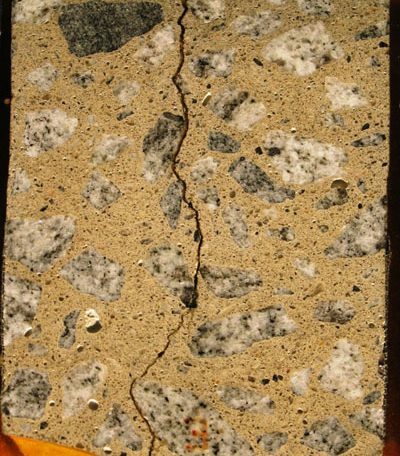 Is it time to remove and replace the existing concrete slab?